Way of the Dodo: Radiant Beings; Or, Is Your Piano Prepared? Radiant Beings; Or, Is Your Piano Prepared? What do you get when you live between the Klees and the Kandinskys? You get the Alberses! The crown jewel couple of the Bauhaus. 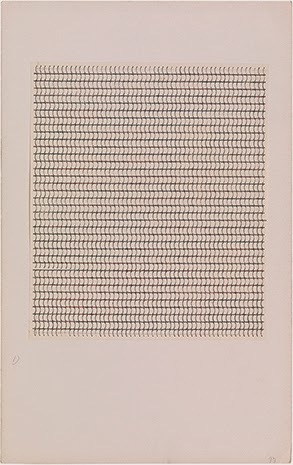 Lovely Anni Albers gives us the charming images in my letter to you today- both undated typewriter studies. I encountered these type (pun intended) of delightful drawings last year, in a wonderful book from the library titled On Weaving, written by Anni Albers. 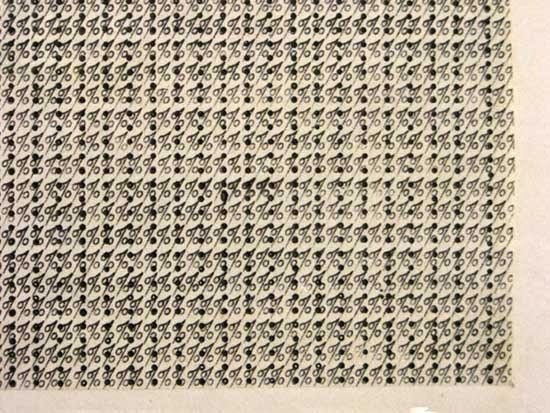 Anni Albers tells us that something constructed from the manipulation of materials "...results in a serviceable object, but also convey[s] in its form thoughtfulness and purity- that is, beauty." I know you will love her inspirational thoughts on working with materials- and while you are reading, play this. See John Cage performing Water Walk; Some tips on how to Prepare Your Piano; And, get the... App?